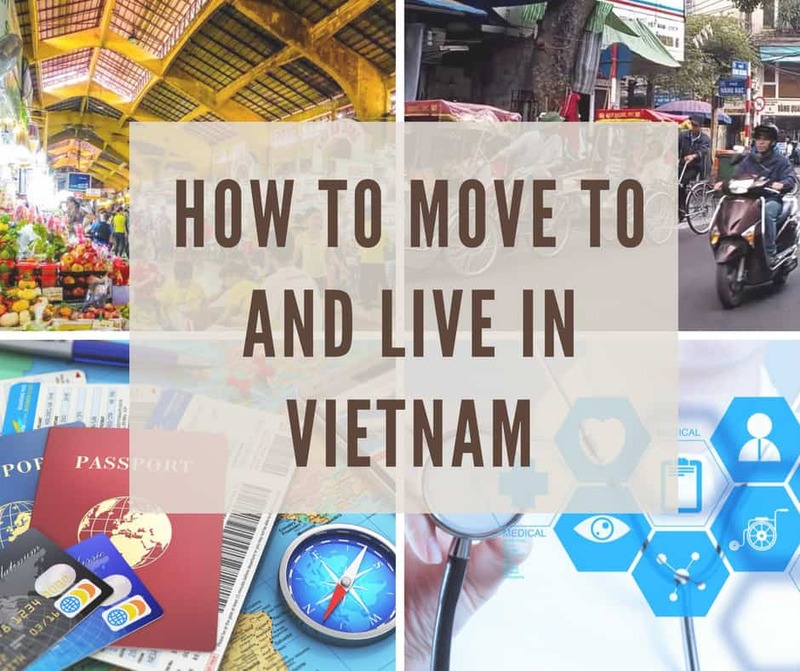 An expats guide for moving to and living in Vietnam. Living in Vietnam has become a popular destination for not only short-term travel but long-term expat living as well. Due to the increased prominence on the global scene, many expats (American, German, French, Chinese and Koreans to name but a few) call Vietnam their home. Currently, there are roughly 90,000 foreign nationals living here. Living in Vietnam is a unique and enriching experience, but it can also be daunting when you don’t know what to expect. Even securing the opportunity to work and stay in the country can be challenging at first glance. The Vietnam travel tips we’ve given you already apply to many aspects of life here. But we also want to give you some general guidelines on how to secure a job, how to stay and work in the country, and what life in Vietnam is like. Jobs in Vietnam for skilled expats are plentiful in tourism, finance, and manufacturing industries. As the general economy is experiencing rapid growth here and there are jobs in Vietnam for foreigners in these industries. By far the biggest job search repository for jobs in Vietnam is VietnamWorks. There are also a handful of other sites that recruit people for the Asia Pacific region as a whole. Another good resource is the classifieds section of local news outlets – try Tuoi Tre or Lao Dong. Another excellent resource for both information and sometimes job opportunities are Expat groups on Facebook. There are many local businesses that have a need for foreigners and advertise on expat groups. Many native English speakers are also able to work here as ESL (English as a Second Language) teachers. Keep in mind that although English teachers are in high demand, Vietnam has recently cracked down on teachers without proper certification. Most agencies that place teachers in Vietnam will only recruit teachers with a CELTA certificate and with the correct number of hours of experience. But, if you look for jobs independently, the only way to teach without the right credentials are by private hire. In order to teach at international schools, you would need to go through international job fairs or create a contact within the administration of the school itself. If you plan on working here for a very short period of time, you or your employer can apply for a business visa which allows you to visit Vietnam in a business capacity. To live and work here for longer than three months, your employer will have to apply for a work permit for you and prove your skills and qualifications. Note that there are additional requirements for people who work in the health care industry in order to ensure that the workers meet strict qualification guidelines. Although there are many people who work here for an indefinite amount of time or retire here, Vietnam currently does not offer a long term or retirement visa scheme. This is surely to change in the future as long term expats look at Vietnam as one of the best kept secrets for overseas retirement. The only way to work or stay here long term is to renew a tourist or business visa continually as it expires. At this time, the maximum length of a temporary resident permit is 3 years (recent reports suggest this may change to 2 years in the near future) and the longest tourist visa available is for 3 months (6 month & 1 year are said to exist, however we don’t really know of anyone that has been able to obtain one recently). Another option that may be available to you is a 5 year Visa exemption which is given to people whose parents were born in Vietnam or are married to a Vietnamese citizen. Fortunately, these visa related tasks are relatively easy to take care of while you are abroad through a travel agency, through your company’s HR department, or on your own at the embassy in your home country. Foreigners who are residents of Vietnam can purchase a condo or apartment in Vietnam but are not allowed to own the land. At this time, the process of purchasing property as a foreigner is quite cumbersome but the rules may change in the coming months. Nevertheless, most expats prefer to rent homes in Vietnam as the average rent is on the lower end for Asia (with some exceptions the closer to the center you choose to live). 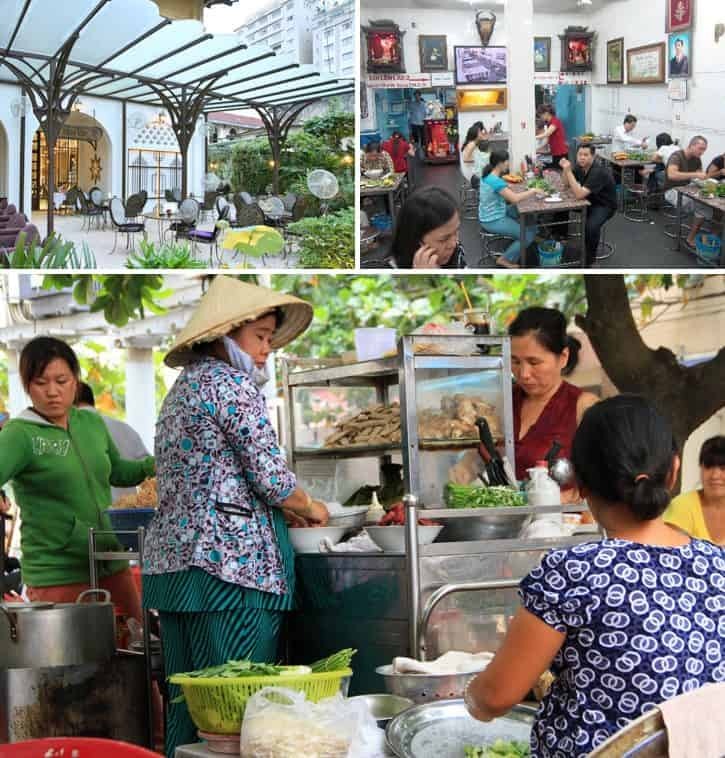 Some of the best places to rent in Ho Chi Minh City include expat friendly Districts like 1, 2, 3 and 7. Rental properties in these areas can range from $250 USD per month to upwards of $10,000 USD per month. You can rent a decent fully furnished apartment for around $500 in District 7 but the same apartment would cost more than $2000 in District 1. In comparison, $4000 is usually the starting price for bungalows outside the city centre in District 2 (commonly refered to by the area Thao Dien). The cost of produce in Vietnam is quite low. Assuming a family shops locally for fruits and vegetables, spending less than $10 a week on produce can be expected. Local foods such as rice or noodles are cheap as well. Even meat is much cheaper and more affordable than in other countries. Foreign goods, however, come at a major premium! The markup can be more than 300% on international household goods. 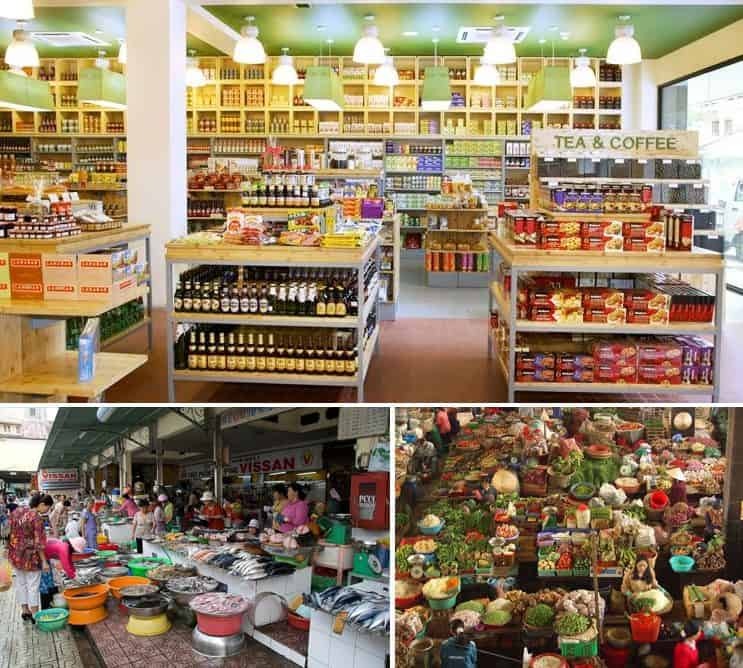 Of course, grocery stores that cater to the expat community have a much higher markup than local shops that sell the same foreign goods, and it is a price that one pays here for convenience. Many imported foods can be found here but at a very high cost! In contrast, local foods are quite cheap. If you eat at local restaurants, the prices are astoundingly low in comparison to cheap meals elsewhere in the world. It is entirely possible to purchase a hearty and complete meal for less than the cost of fast food. Western or higher end restaurants are more expensive in comparison to local eateries but most of these restaurants are still considered cheap by international standards. From fancy restaurants to local eateries to street meals, Vietnam offers a unique dining experience in every price range! Some of the international private schools in Vietnam are among the best rated in the world and fare really well in rankings each year. Vietnam also has a variety of options to choose from. Whether you want your children to go through the International Baccalaureate program or the British system, you can have your choice. It does come at a cost – tuitions at some of these schools can be more than $20,000 USD per year! Fortunately, many companies pay for employees’ children to attend private school. If not, local schools are an option as well. The public schooling system in Vietnam functions quite well, as the literacy rate of Vietnam is over 90%! However, the public system does suffer from underfunding and lower exposure to the English language. Pollution increases in Vietnam day by day as society becomes more industrialized and as cars become a more affordable mode of transport. However, many people have remarked that in comparison to other cities in South East Asia or even in North America, the air pollution is hardly noticeable. If you spend a lot of time on a motorbike or in traffic, a mask may help to protect yourself from exhaust fumes. Water contamination and foodborne illness is always a concern in this part of the world. For people who plan to live here for an extended period of time, investing in a filtered water dispenser is a good idea. Even local people drink boiled or filtered water. But brushing your teeth or washing vegetables with tap water can help in getting accustomed to the local bacterial flora. For more information on this, take a look at our health and safety post. Air and water pollution are serious concerns for people living in Vietnam. Wearing masks and drinking filtered water are just two ways to counteract that problem. Labour is quite cheap in this part of the world. As a result, many foreigners who live here employ domestic staff, sometimes multiple people. You can expect a housekeeper to do cleaning, cooking, organizing, and even looking after children. You may even see many nannies on vacation with the families that they work for. Many foreigners are successful in teaching their housekeepers to make western food. So it is possible for you to have a similar diet to what you are accustomed back home! The price per month for a housekeepers varies a lot. But someone who takes care of household chores and cooks can cost an average of $200 per month. Vietnam is an incredibly safe country. For a city as large as Ho Chi Minh City, the crime rate is very low, especially violent crime. Petty crime can be an issue here but if you walk about the streets smartly and don’t act flashy, you are likely not to have a problem. The freestanding homes and bungalows usually have a security booth and many of the occupants hire a private security service. These homes that are independent of compounds tend to have a really high wall as well to deter thieves. That being said, homes, both in and out of compounds, can get broken into so any precautions you would take in your home country most likely also apply here. Vietnamese is a difficult language to learn and understand for native English speakers. Vietnamese is a tonal language so it is particularly hard to hear the differences between similar words. Fortunately, many people in Vietnam speak English. Especially those connected with the tourism industry and people who are in contact with English speakers on a regular basis. The average English proficiency is actually quite low throughout the country so you may face communication issues while traveling in the country. However, people travel here and live here without knowing a word of Vietnamese and get by just fine! The Vietnamese language is quite complicated in some ways because it uses tones to differentiate between words and meanings. Just a slight tonal difference gives the word a completely different meaning! Most parts of the country have an excellent mobile network and 3G coverage. You may experience little or no 3G coverage and a poor mobile signal in more remote areas. Even internet coverage is quite good for regular browsing and moderate amounts of downloading although you may find it slow compared to North American internet speeds for heavy downloading or streaming. Vietnam has made considerable advances in healthcare in the recent years. There are numerous hospitals and clinics set up to meet the needs of expats. If you have any special conditions or ailments, we suggest that you visit the websites of some of these clinics. The experience and specialties of the physicians on staff are usually described well. For serious illnesses, surgeries, and sometimes childbirth, many expats fly to Singapore or nearby countries for treatment. Dentistry is also fairly advanced here and there are quite a few international initiatives aimed at providing quality dental care in Vietnam. In fact, some routine cosmetic procedures such as teeth whitening are considerably cheaper here than abroad. Most medicines are also available here, both name brands and generic versions at a fraction of the cost. Getting general medications and even antibiotics is a much easier process here whereby you can simply walk into a pharmacy and ask for the medicine you want without getting a prescription from a doctor. Vietnam is a very dynamic country and living here is just as much of a dynamic experience. If you need any advice on living in this part of the world or more Vietnam travel tips, we are happy to help! Just leave a comment below or you can always contact us directly. We designed this blog as a service to help those traveling and living in Vietnam so we are always open to suggestions. I very much enjoyed reading your blog. I hope to visit Vietnam one day soon. Doing some research as I may potentially could be moving to VN for work. Really nervous but after reading your article, it has helped made up my mind. Hope to meet up with I’m there! introductory info! I have traveled many places, by never to Asia, and I want Vietnam to be my first destination. Quick question, I have my bachelor’s degree and a TESOL certification, would those qualifications get me a job? Thanks again! It is best to search for jobs in Vietnam and check with them directly whether you have the right qualifications. vietnamworks.com is a great job search engine. Is there a need for acupuncturists there? Can I earn a living doing this? Who would my market be? Hi Mike, I suppose there might be. You may want to contact medical clinics or holistic healing clinics in Vietnam. You will be pleasantly surprised at the number of health care businesses with professional websites. Thank you for your article, very helpful as I hoped to work and retire in Vietnam. Are Vietnam veterans welcome there as residents?? Good Blog..useful for me as my family joining me on 1st NOv…. 🙂 First thing to read for her.. Interesting article: Ive been living in HCMC for a little over a year. What needs to be mentioned however is that the $500 price you mention for a nice place to live in district 7 is not really that nice, at least as far as western standards go. After looking for a long time at places to live here, it’s easy to see that brokers are pushing flats for well $1000 a month and above, which is actually the equivalent or even more for a nice or nicer place to stay in the US. So, with the influx of expats coming to HCMC rental prices for anything of quality (good air conditioner, bed that is not rock hard, reasonable view and sun light) are extremely inflated. I am from USA and retired in Chian Mai, Thailand. What is the procedure to settle in Vietnamese? Thailand offers one year retirement visa and wondering about Vietnam. How can I stay for longer time without any problem with immigration. The Vietnamese government recently announced that they will start offering 1 year tourist Visas to all Americans soon, so it should be a similar situation to what you have in Thailand now. I and my husband, along with our kids will be moving for long term (2 yrs) to HCMC soon. However, we have certain issues to be fixed before we take a final call. 2. Food – Is Indian food available in HCMC? Where can we find indian foods – Dal (lentils), wheat flour, spices ? 3. School for kids – can you suggest us good school for kids – 3+ yrs & 7+ yrs – in HCMC.